This class features simple but elegant cards just in time for Spring and Easter. We will be using some new dies and stamps in this class. It’s amazing how a sentiment can frame the focal point of a card with a little creativity. 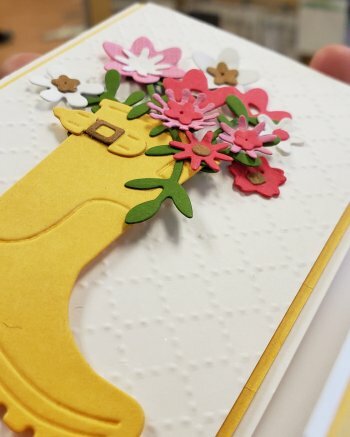 Soft colors make each card perfect for springtime. Kits available for a fee of $3.00 and available for pick up the following day. Please bring: scoreboard, paper trimmer, foam, tweezers, scissors, white glue and score tape.